The safari left us awestruck at the beauty and brutality of nature. It also lifted our taste buds to a level that isn’t easily achieved. The expected crash back into the world of two-minute noodles and sandwiches didn’t return without a fight. We were catching the Bazbus (a hop-on/off bus that travels from Joburg to Cape Town) out of Joburg and had scheduled one last night at our favorite hostel in South Africa so far, Ghandi Backpackers. That meant one last steak dinner at the Portuguese restaurant, one last attempt to single-handedly finish off Heinz’s five litre box wine, and one last night ignoring our pathetic attempt to keep a daily budget. To our social advantage and monetary disadvantage, Nick was down from Swaziland. Kicking back drinks with Nick (and Heinz at the bar) is like walking into our own version of Cheers. Of course everybody knows our name, but it also feels like we are hanging out with old friends. Not concerned with the fact we may never meet again, but rather conversing as if we will be back the very next day. 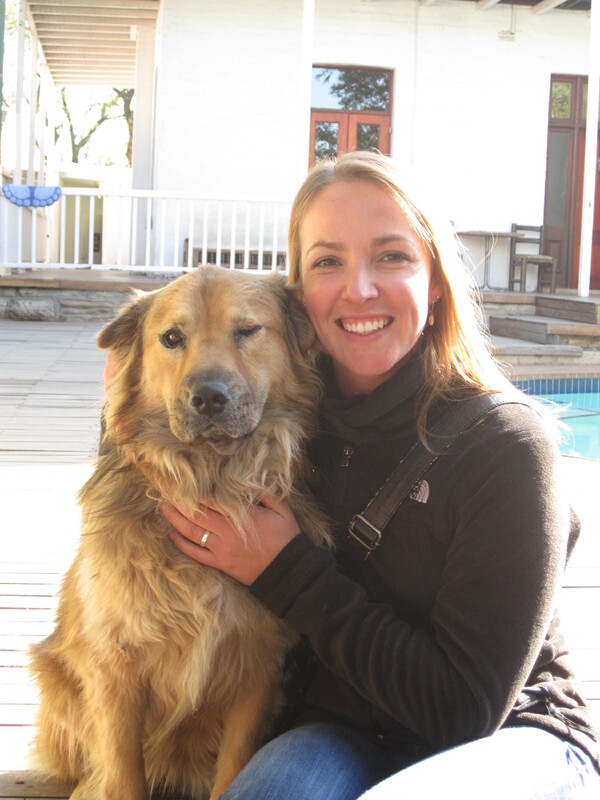 Ghandi Backpacers also ranks high on our list due to the fact that Heinz has a dog named Fluffy that Sally is absolutely in love with. Early the next morning our Bazbus journey began slowly. The bus driver made it an hour out of Joburg when he realized that he didn’t pick up two of the backpackers. That was an hour out of Joburg, a two-hour drive back due to traffic, and another hour and a half to get back to the point we originally were when he realized he fucked up. That turned our expected six-hour drive into ten, painful, hours to Durban. Durban ended up being the final straw. We couldn’t take it any longer. Five weeks in South Africa was just not going to cut it. Two emails later, $100, and we added an extra 10 days to our time in South Africa. This conveniently enabled us to watch the Super Rugby game that was going to be televised the day we were originally expected to leave Durban. The Durban Sharks versus the Cape Town Stormers, winner set to play Sally’s team from New Zealand, the Waikato Chiefs. Now some of you might think we extended our trip purely on the fact that we wanted to party in Durban if the Sharks won and advanced to the final. To that I say. . . it did have some influence. The game turned out to be pretty good. Sally is enjoying getting back into rugby and now that I have had a sit down with some people who can actually explain the rules in detail and have learned to except the fact that it is a different sport than football (I stopped comparing), I have really started to like it too. We stayed at our hostel to watch the game, which is the self-proclaimed best party hostel in the area. Their slogan is ‘Takweni Goes Off’. They are positioned a block away from Florida street which is lined with bars and restaurants. However, partying is about all they do. The people who appear to be employed there are as about as useful as having a seat that also serves as a floatation device on a flight that is going from LA to New York. They are the oldest hostel in Durban and have seem to have a nostalgic attachment to the blankets they first purchased, as they are still being used. But if you have no attachment to the idea of sleep between 9pm and 6am, don’t mind waking up in a bed that stinks like 10 years worth of urine, and can navigate your way around a foreign city with zero help, then it actually is a pretty decent party spot. The hostel turned out to be a great place to watch the game. Two T.V.’s, a local crowd, a few guys from Cape Town, and of course a tab system that let us drink with no regard for the actual amount of money we were spending. 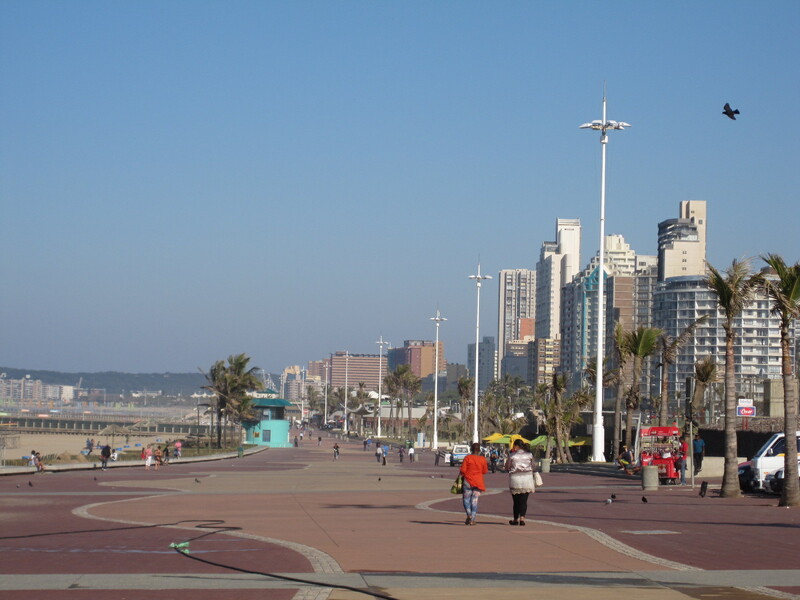 Durban beat out the Stormers and were sent packing to New Zealand to play the Chiefs. After five nights in Durban we were ready to escape the city and head for somewhere more secluded and chill. Coffee Bay was exactly that. We pulled up at the petrol station in Mthatha (the home town of Nelson Mandela) around 3pm and met up with the shuttle from our hostel to drive us the last 1.5 hours along rural country roads until we finally reached our destination. 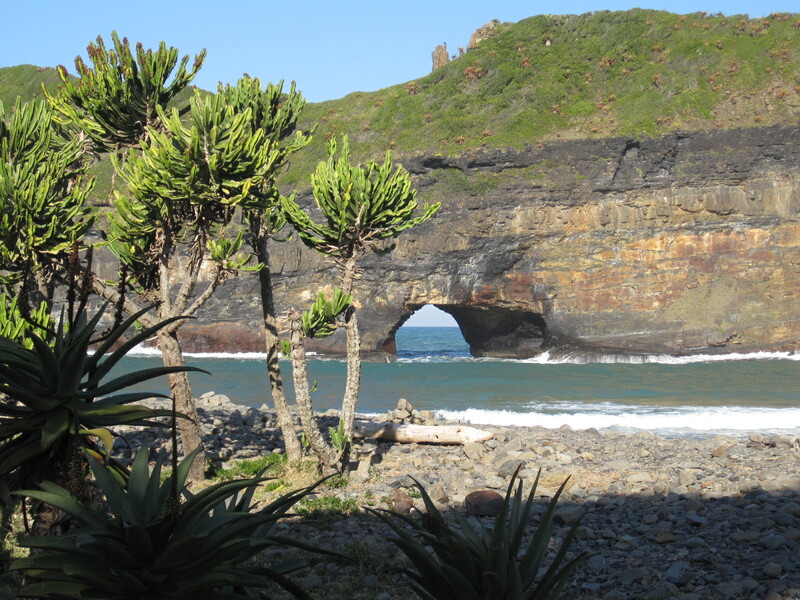 Coffee Bay, in the Wild Coast Region of SA is a fairly isolated rural surf village with a population of just 600. We stayed at the Coffee Shack, situated right where the river meets the ocean. It has a definite party vibe where evenings are kicked off with sundowners, followed by drinks around the fire and going very late into the night. Bret and I were roped in the second we arrived. We were force-fed a free beer then met Clayton who had been there a week before us, returned home to Joburg and was back for a two-week stay. Extremely nice guy who likes to party at 100 miles per hour. They also served up an awesome home cooked meal each night and had local children in the area sing and dance before the meal. Rather than having backpackers give money and sweets to the local kids asking for it, staff at the Coffee Shack encourage the kids to form singing and dance groups to give travellers a taste of their local Xhosa culture, or make and sell their own beads and crafts. There is so much to see between Durban and Cape Town so unfortunately we only stayed at Coffee Bay for three nights to allow time to see more as we headed south. Bret and I could have easily stayed two weeks! In our short time there we managed to get in a three-hour hike to the Hole in the Wall where we chilled for a few hours and enjoyed toasties fresh from the fire. On our second day we had planned to take a surf lesson for only 40 Rand – that’s a two-hour surf lesson, board and wetsuit for less than USD$5!! Unfortunately the wind picked up and the temperature dropped that day so we changed our mind and cancelled. We definitely regret that decision as everywhere we’ve been since, charges at least 200R. Instead we spent the day at the beach, wrapped up in the warmest clothes we had watching some serious surfers rock the waves. Coffee Bay is an amazingly scenic place and I have no doubt that Bret and I will return one day, most likely NOT in winter.